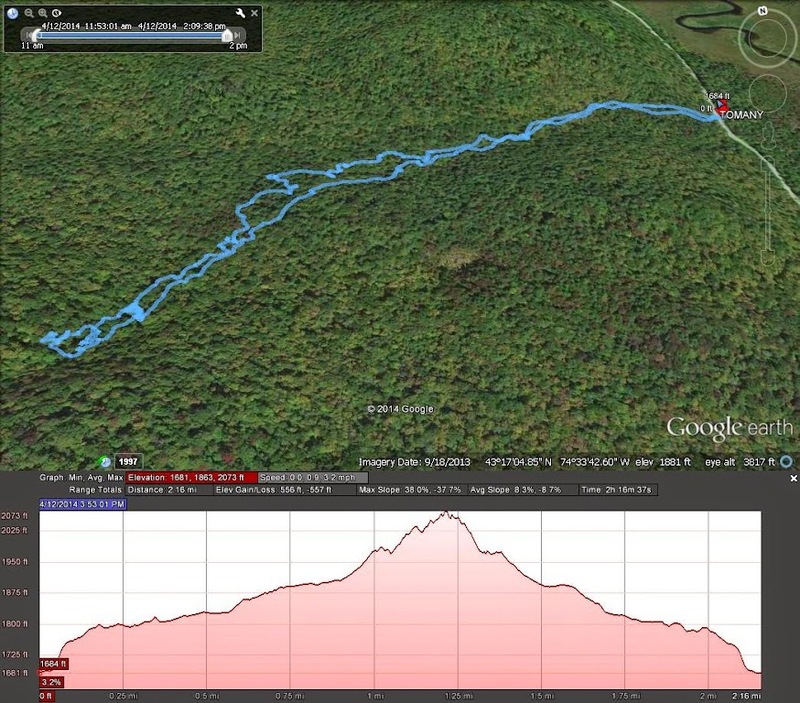 On Saturday, I headed off south of Piseco Lake to Tomany Mountain, a former fire tower site. The tower was taken down in 1987, and the pieces were tossed into the woods near the site. There’s a parking area along Route 10, and across the road you can see where the old trail started pretty easily. In the beginning there wasn’t much snow, and you could still find some of the old markers and phone poles along the trail. Further up the trail, the snow was getting deeper and the trail harder to follow. Eventually I had to give up, the snow was getting to deep to continue without snowshoes, and with the deeper snow up top, I probably would not find the old tower. But I did see a cool ice formation. I’ll do this again when the weather is better and there is less snow.